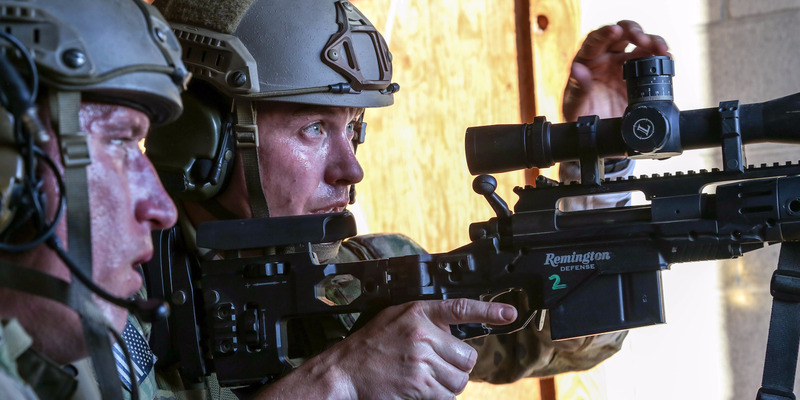 US ArmyGreen Berets make elevation adjustments to engage their target during an urban stress shoot on Joint Base Lewis-McChord, Washington, June 29, 2017. US Special Forces troops reportedly took part in a previously undisclosed firefight in Niger, two months after a battle where four US soldiers were killed in October. Eleven militants who were believed to be affiliated with the Islamic State were reportedly killed. Though a military spokeswoman didn’t say why the incident wasn’t previously disclosed, a congressional aide said lawmakers were aware of the firefight after it occurred. US Special Forces troops reportedly took part in a previously undisclosed firefight in Niger, two months after a battle that killed four US soldiers in October. The undisclosed firefight on December 6, first reported by The New York Times, was between a coalition of US-Nigerien troops, and a group believed to have been Islamic State militants. Eleven militants were reportedly killed and no coalition forces were killed or wounded, according to US Africa Command spokeswoman Samantha Reho. She added that two of the militants were wearing suicide vests. But according to an anonymous military official familiar with the incident, the mission was to sweep through a potentially dangerous area so that Nigerien troops would be able to build an outpost. 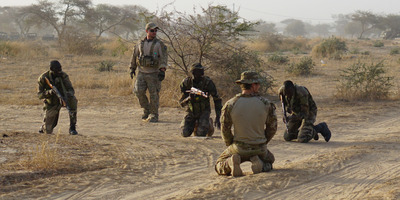 US ArmyA US Special Forces soldier and an Australian special operations service member observe Nigerien soldiers practicing drills in Diffa, Niger, March 4, 2017. Though Reho did not disclose why the Defence Department did not notify others of the incident, a House Republican aide told The Times that other lawmakers were notified of the December attack after it occurred. Lawmakers previously pressured the White House and Pentagon for more information on the circumstances surrounding the ambush in October, after military officials appeared to leave several congressional leaders in the dark. US Army Brig. Gen. Donald C. Bolduc, the former commander of US Special Operations in Africa, said that US troops and local training partners were attacked around 10 times from 2015 to 2017, The Times reported. Though enemy combatants were killed in these attacks, no US troops were reportedly killed. The incident highlights some of the danger in conducting military operations in West Africa, just as military officials aim to curb the number of riskier missions. US Army Staff Sgt. Bryan Black, Staff Sgt. Jeremiah Johnson, Staff Sgt. Dustin Wright, and Sgt. La David Johnson were killed in October after they were ambushed by ISIS-affiliated militants.